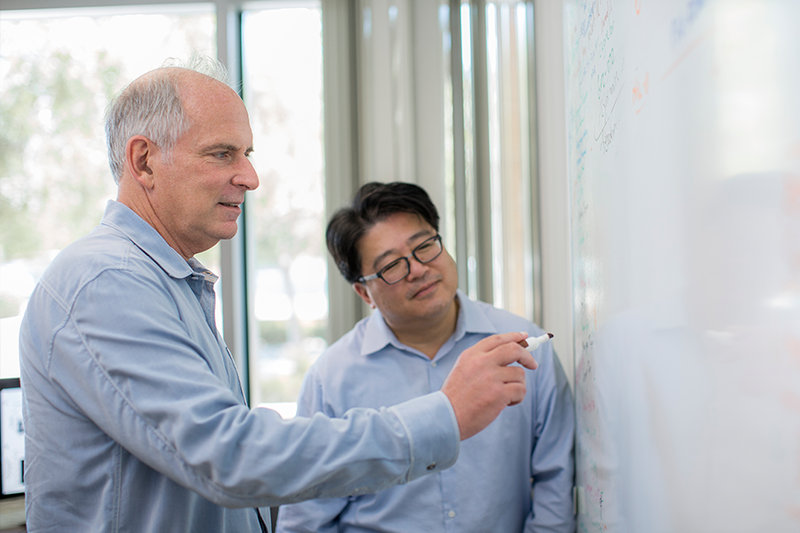 La Jolla Institute’s chronic inflammation research creates pathways to understanding and treating debilitating diseases. Calor, dolor, rubor, and tumor . . . those were the words 1st Century A.D. Roman scholar Celsus used to describe the classical signs of inflammation: heat, pain, redness, and swelling. Remarkably, it would take more than two thousand years for science to recognize that this process was only a small part of a much greater medical story. For deep inside the molecular functioning of virtually everyone’s body, is a different and insidious process wreaking havoc. Silently at first, and almost always unnoticed, it ravages cells and tissues leading to debilitating and sometimes lethal consequences. No, it’s not cancer or heart disease, but it fuels both of these leading killers—and tragically, a host of other serious diseases—that plague humanity. The full extent of chronic inflammation’s destructive effect has only been recognized for about the last two decades. Even though it has now entered public awareness as a major health risk, progress has been slow in understanding its mechanisms, let alone figuring out how to address it. Thanks to the groundbreaking research of scientists at La Jolla Institute that’s all changing. These pioneering researchers have been probing chronic inflammation’s inner workings for nearly a decade since the Institute’s board and scientific leaders had the foresight to recruit several top researchers in the field to create a separate Division of Inflammation Biology (see President’s letter, page 3). 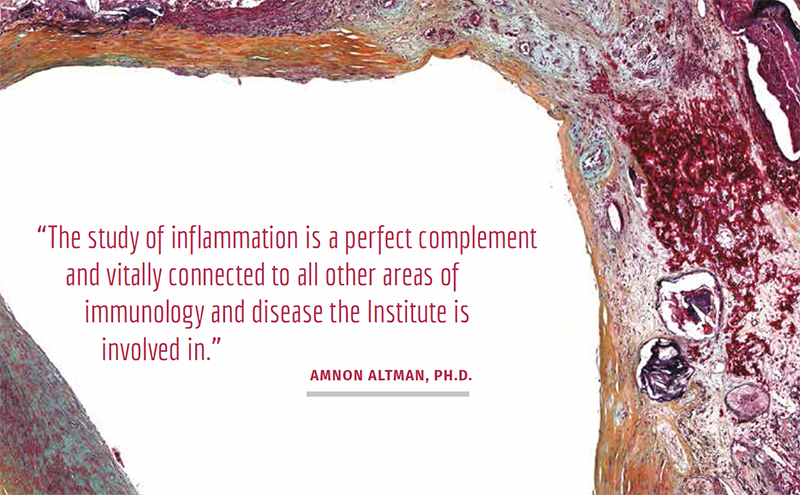 “That investment is now paying significant scientific dividends, including a number of discoveries here at the Institute that have the potential to transform treatment of chronic inflammation and, in some cases, restore health to those who suffer from it,” says Amnon Altman, Ph.D., Institute Director of Scientific Affairs, and Head of the Division of Cellular Biology. Dennis Wolf, M.D. and Klaus Ley, M.D. One of those discoveries is due to the groundbreaking work of Institute Principal Investigator Klaus Ley, M.D., Professor and Head of the Division of Inflammation Biology. Dr. Ley was a nationally recognized pioneer in vascular biology at the University of Virginia when he was recruited to start the inflammation division in 2007. He is responsible for one of the most exciting of these breakthroughs: a potential vaccine against atherosclerosis, the primary cause of heart attacks and strokes. It has been known for decades that excess cholesterol is a major factor in the development of artery-clogging plaques. 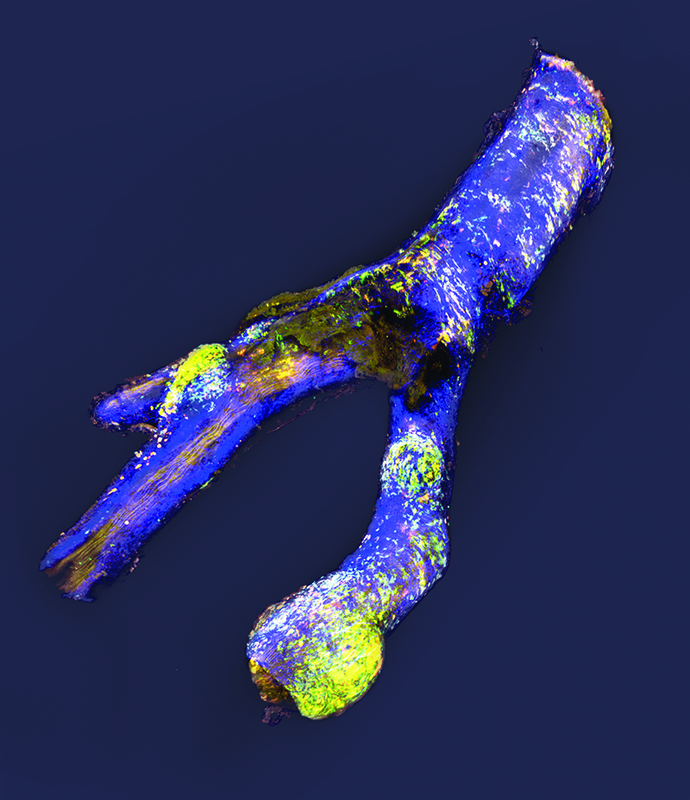 Only recently investigators have realized that it is actually the inflammation that emerges at sites of vessel tissue damage that helps catalyze the first build up of arterial plaques. This suggests that reducing chronic inflammation might be equally effective at reducing atherosclerosis as dietary or pharmaceutical interventions, such as statins. Dr. Ley’s belief that an atherosclerosis vaccine might work is due in part to his groundbreaking research published in 2012 in the Journal of Clinical Investigation. The study revealed that a specific type of immune cell (CD4 T cells) orchestrates the inflammatory assault on the artery wall by recognizing one of our own proteins as being foreign, like a virus or bacteria, and mounting an inadvertent self-attack. With that knowledge, Dr. Ley developed a vaccine to target and interrupt those inflammatory factors to reduce atherosclerotic plaque formation. In mouse models of the disease, Dr. Ley’s theory has proved remarkably successful. Animals inoculated with the vaccine developed up to 50 percent less plaque in their arteries. Working in collaboration with Alessandro Sette, Dr. Biol.Sc., Professor and Head of the Institute’s Center for Infectious Disease, Dr. Ley has now identified several peptides suitable for vaccinating humans and he will test those in mice engineered to harbor a humanized immune system. Human clinical trials could begin within a couple of years. 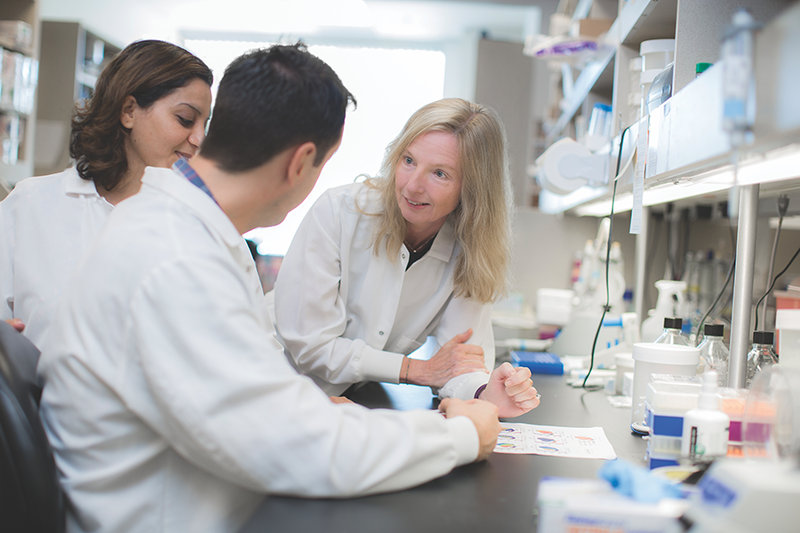 Another Institute scientist conducting breakthrough research on chronic inflammation is Catherine “Lynn” Hedrick, Ph.D., Professor and a colleague of Dr. Ley’s in the Division of Inflammation Biology. One of Dr. Hedrick’s core studies looks at how immune cells, such as T cells and a specific type of white blood cell called monocytes, are changed by high cholesterol and may contribute to atherosclerosis and cancer. Some of the fundamental questions Dr. Hedrick is trying to answer are: How does the presence of atherosclerotic lipids alter the responding immune cells, does this impact their function, and does this result in more or less inflammation and disease? Dr. Hedrick got a partial answer recently through an interesting experiment in her lab in which her team took two groups of mice and fed one normal mouse chow and the other a diet that simulated a high calorie, high cholesterol, and pro-inflammatory “Western” diet. Left to right: Dalia Gaddis, Ph.D., Graham Thomas, Ph.D. , Catherine "Lynn" Hedrick, Ph.D.
“We were fascinated to observe that the regulatory T cells in the mice on the fatty diet gradually began to disappear,” Dr. Hedrick says. 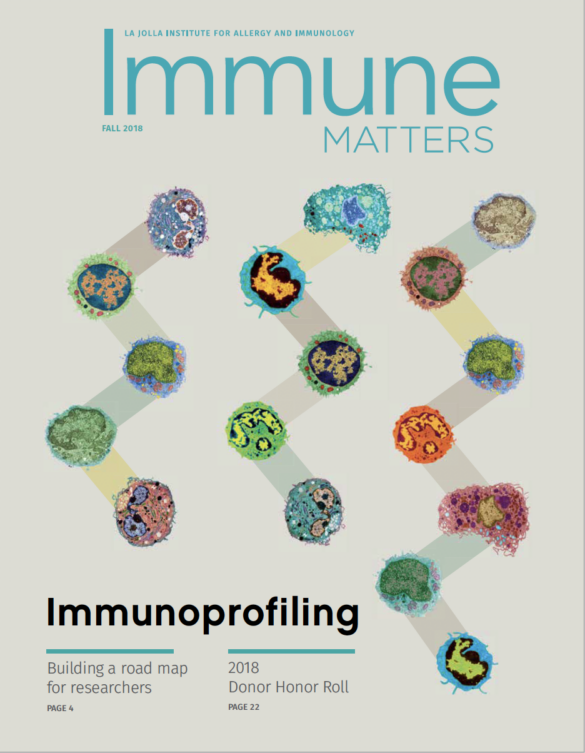 “As immunologists, we can usually identify these cells by the markers they express, but all of a sudden we couldn’t find those markers. Did the cells die or did they change and become something else? A completely different approach in the battle against inflammation—one that may offer hope to those with the painful and life-shortening sickle cell disease that afflicts 100,000 Americans—has emerged from the lab of Joel Linden, Ph.D., Professor in the Division of Developmental Immunology. Dr. Linden is eagerly awaiting the results late this fall of a phase II clinical trial based on his research, which predicted that sickle cell patients should benefit from the existing prescription drug Lexiscan. In its traditional medical use, Lexiscan is given as a rapid IV injection to increase the blood flow through the arteries of a patient’s heart during a cardiac nuclear stress test. However, in mouse studies, Dr. Linden discovered the drug also worked as a short-acting anti-inflammatory agent. It seemed to inhibit an unwanted inflammatory response where white blood cells are activated after sensing sickle cells that begin to clog the blood vessels during patients’ periodic sickle cell crises. During a crisis, these activated immune cells actually further restrict blood flow. “We’re hopeful we’ll see the same kind of results in the human trials that we saw in the animal studies,” says Dr. Linden. “If we do, we’ll go to a much larger scale phase III patient study. I believe we’ll have a chance to really make a difference in the lives of sickle cell patients through inhibiting the inflam- mation, reducing organ damage, and dramatically shortening the duration and intensity of their painful episodes.” The foundation of Dr. Linden’s research was a brilliant con- nection he made one day a few years ago after reading an article in a scientific journal. It described what happens in the blood of sickle cell patients and how the damage is caused. He suddenly realized the inflammation-caused damage was virtually the same process that occurs during ischemia reperfusion injury when the blood supply to a tissue is cut off, for example during a heart attack, stroke, or when blood vessels are clamped for organ transplantation. In these cases, the damage not only occurs from the injury itself, but also when the blood supply returns to the tissue and triggers the immune system to mount an unwanted inflammatory response. “Once we realized that unmanageable inflammation was the root of the damage caused in both processes, we turned our attention to finding a compound that could interrupt that sequence,” Dr. Linden says. He didn’t have to look far. Dr. Linden is a world-renowned expert on cell surface receptor molecules that recognize the natural chemical adenosine. The production of adenosine shoots up when the cells are stressed, activated, or lack enough oxygen. Dr. Linden discovered that the adenosine receptor is a powerful inhibitor of many immune cells, and activating these receptors can inhibit many inflammatory disease processes. In Lexiscan, he found the perfect substance to activate adenosine receptors and thereby dampen the inflammation in the blood of sickle cell patients. Joel Linden, Ph.D. and Gene Lin, Ph.D. In an interesting twist, Dr. Linden’s research has shown that blocking instead of activating adenosine receptors could soon become a powerful weapon in cancer immunotherapy. Solid tumors escape detection by our immune system, in part by generating large amounts of adenosine, and therefore adenosine receptor blocking drugs could be used to enhance the effectiveness of tumor vaccines. could interrupt that sequence.” Joel Linden, PH.D.
“I’m excited every day because the field that uses the immune system to kill tumors is moving at blazing speed right now,” Dr. Linden says. “I think adenosine is a big part of the story and has great potential for becoming a bigger therapeutic target. If you talk to people in the field of cancer immunotherapy, adenosine is seen as a Johnny-come-lately but it’s gaining ground rapidly. 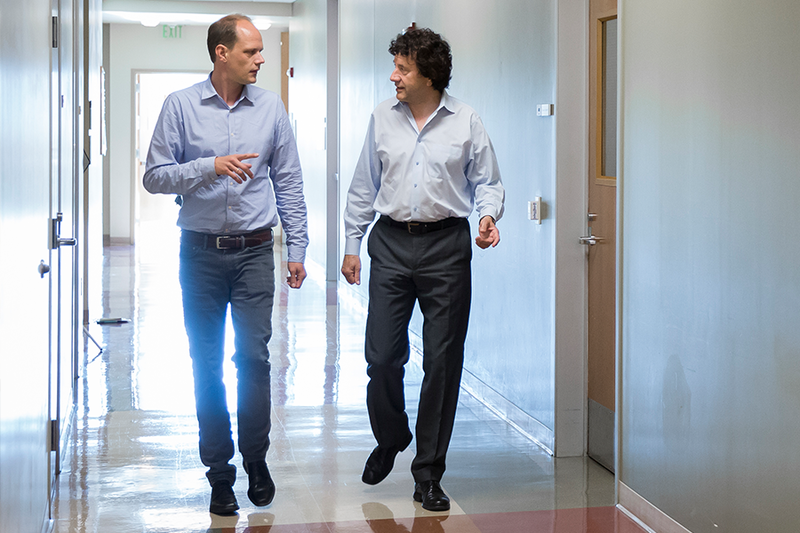 Adenosine receptor blockers aren’t very big right now, but just wait a few years and I think we’ll see them become a critically important tool in our immunological arsenal for killing tumors and saving lives.” For Dr. Altman and his colleagues, the latter is the Holy Grail that drives the Institute’s intense focus on inflammation.